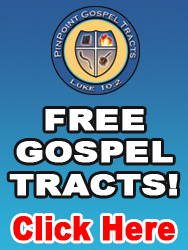 Good looking tracts to hand out to folks. Good track cards, came on time and bundled well. 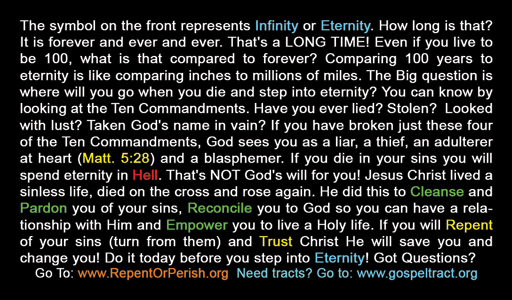 This is one of my favorite gospel tracts! It's beautifully designed, and eye catching, even for non-believers. The message is very well written because it explains the symbol of "Infinity" or "ETERNITY" very well in comparison to the span of our lives! I appreciate that it's small enough where it's a casual gift and the meaning is exponential!